I created a handbell chart for the song Carol of the Bells. We are performing some secular Christmas songs at our ward Christmas party. My bell chart uses guitar chords. I've got a post HERE which gives a little more detail on how to use guitar chords. If you are unfamiliar with handbells, check out my post HERE. I used the piano arrangement from the Reader's Digest Merry Christmas Songbook. This is one of my favorite Christmas songbooks to have around! Unfortunately, it's no longer in print, this Amazon link takes you to used copies. However, you can download a PDF version of the entire book HERE. Carol of the Bells is on p. 158. I assume it's ok? lol. I hope at least. I was able to print easily from the site as well. THANK YOU THANK YOU for that link!! I'll definitely update my posts with it!! As for bells in Jr., it's always crazy. If they sing a LITTLE or just hear the song repeated over and over again while the adults sing it, I'm happy :). That said, they still love the bells and it's a great way to keep the little ones engaged. Your blog is such a valuable resource. THANK YOU SOOOO MUCH! 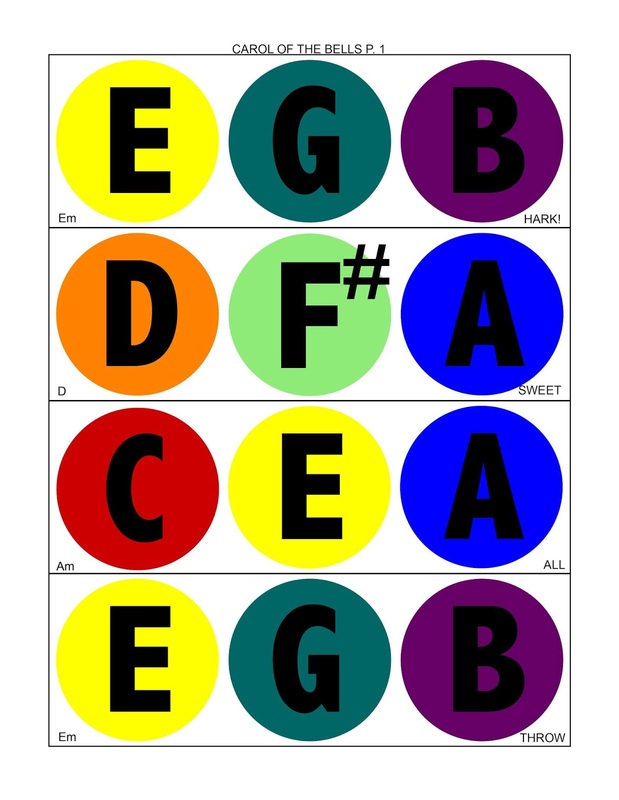 I can't thank you enough for all your bell charts and make your own bell chart with chords post. We sang three songs in our Primary Program with bells, all thanks to you and your blog. The kids and congregation loved it. Do you have to have a Carol of the Bells bell chart in the key original key of G minor (B flat major)? We are performing in that key for our stake Christmas concert and were hoping to have the kids play hand bells to accompany our choir. Thank you for your kind comments! I'm always happy to hear. Unfortunately the only bell chart I have for Carol of the Bells is this one. I would suggest to try and make your own. Sorry I'm not more help. Thanks so much for your prompt reply. No problem! I just wanted to double check and make sure you didn't have it in another key before I made my own. 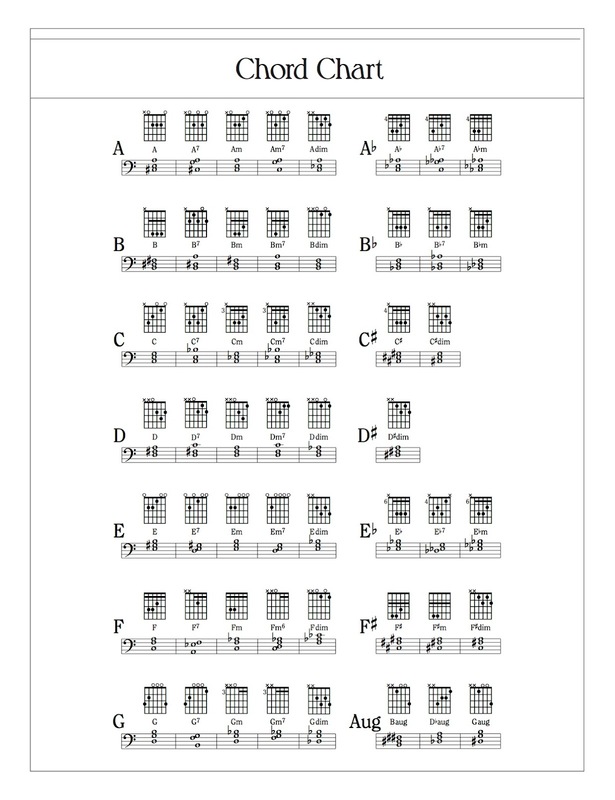 I will use your chart as a template and will follow your "make your chord chart with bells post," as I have in the past. Thank you! Thanks again for turning me and my primary kids onto the handbells. It's totally transformed our Singing Time and they all love playing them!